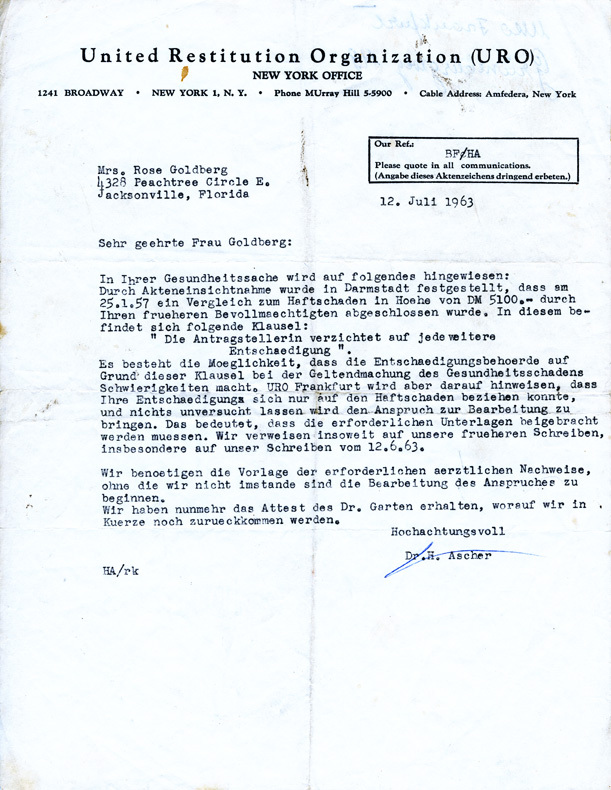 In a letter dated July 12, 1963, Dr. H. Ascher of the United Restitution Organization (URO) of New York reminds Rosa that on January 25, 1957, her previous agent obtained a settlement of 5100 German marks. The agreement states that "the applicant renounces any further compensation." Dr. Ascher is concerned that the Reimbursement Authority may use this statement in an attempt to deny Rosa's application to be reimbursed for damages to her health. However, URO Frankfurt is reminded that her prior compensation covered only criminal damages, and they will work diligently to have her claim processed. 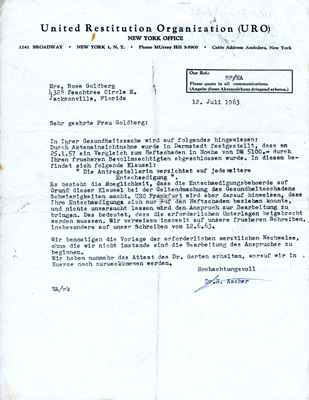 To that end, they ask Rosa to please send the necessary doctor's affadavits, as specified in their letter of June 12, 1963.